A Missouri state lawmaker is beginning the 2016 legislative year with a new bill to require more accountability from abortion clinics in the state. The St. Louis Post-Dispatch reports that Republican state Sen. Bob Onder believes his bill requiring annual, on-site abortion facility inspections will help protect women’s health and safety. The bill also would require abortion clinics to send aborted babies’ bodies to pathology labs for examination, the report states. The pro-life lawmaker introduced the legislation in response to a series of state investigations into whether Planned Parenthood abortion facilities are violating state regulations. The investigations were prompted by a series of undercover videos by the Center for Medical Progress showing top Planned Parenthood officials discussing the sale of aborted babies’ body parts. There is specific concern in Missouri about the sales of aborted baby body parts because one of the expose’ videos mentions St. Louis as a possible location to obtain aborted babies. Soon after lawmakers launched the investigation in August, state health officials admitted that they had no idea what happens to the bodies of babies after Planned Parenthood aborts them, LifeNews previously reported. Through the summer investigations, lawmakers discovered the state was not receiving pathology reports of each abortion for an unknown amount of time and they didn’t realize it. Peter Lyskowski, acting director of the Department of Health and Senior Services, said at a House hearing Tuesday afternoon the state has taken steps to rectify the situation and make sure it doesn’t happen again. In response to this, Onder’s measure would require all tissue from an abortion be sent to the pathology lab for examination. Under his measure, a pathology lab’s report also must include certification that the tissue was disposed of properly. The Department of Health and Senior Services, which oversees abortion operations in the state, would have to make an annual report to the Legislature. Additionally, abortion doctors would be required to have surgical and admitting privileges at a hospital that offers obstetrical or gynecological care within 20 miles of the location where the abortion is being performed. Current law only stipulates those privileges be clinical. Unsurprisingly, Planned Parenthood officials in Missouri oppose the measure. “The fact of the matter is, there are more risky procedures … [abortion is] safer than most outpatient procedures,” David Eisenberg, medical director of Planned Parenthood of the St. Louis Region and Southwest Missouri, told a state Senate committee Tuesday. The abortion giant’s officials face more trouble in the mid-western state. Last week, LifeNews reported that the CEO of the Missouri Planned Parenthood affiliate, Mary Kogut, could face jail time and fines for not answering a state Senate subpoena to testify and provide documents for the investigation. Also facing possible jail time and fines is James Miller, the owner of a pathology lab that contracts with the abortion business, according to local news reports. The abortion chain responded with a letter from its attorney, citing privacy concerns and questioning the Missouri Senate’s authority to subpoena private organizations, the AP reports. In November, the state investigation also revealed a relationship between Planned Parenthood and the University of Missouri. State Senator Kurt Schaefer of Columbia discovered a “research study” being conducted by the university which assists Planned Parenthood in marketing its “abortion services,” according to Joe Orthweth of the Missouri Family Policy Council. 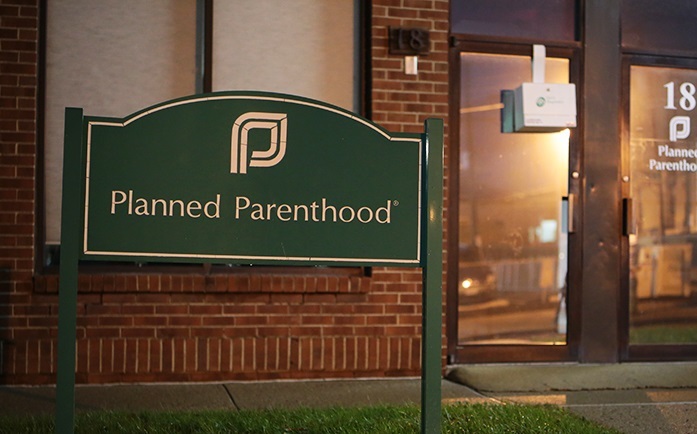 According to Orthweth, the study is being undertaken with university funding at the Reproductive Health Services abortion clinic operated by Planned Parenthood in St. Louis. The purpose of the study, under the auspices of the University’s School of Social Work, is to examine the impact of a recently adopted Missouri law requiring a 72-hour period for abortions. LifeNews reported that Schaeffer’s office later received a death threat, which he believes was linked to his leadership of the abortion investigation.